A spectacular live concert event featuring Ciaran Gribbin with Peter Northcote, Zoltan John Budai, Garry Steel & Mark Oats. Ireland Rocks is an innovative new show highlighting the legendary songs from some of Ireland’s best known artists. The show presents an all-star band fronted by former INXS singer and Grammy nominated songwriter, Ciaran Gribbin. The show features a broad selection of classic Irish songs from every era of Irelands rich music history. The audience will enjoy an engaging journey from the haunting songs and traditional melodies of old Ireland through to the modern pop and rock era of today. 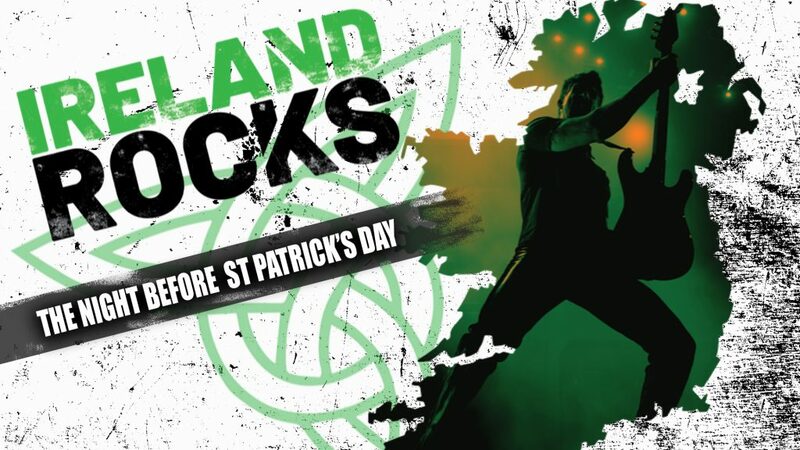 With an accomplished group of talented musicians, Ireland Rocks is a spectacular high energy show with unique song arrangements achieved by blending traditional Irish instruments such as the Bohdran, Accordion and Fiddle with loud rock Guitars, Bass and Drums. A spectacular live concert event featuring former INXS Singer Ciaran Gribbin with Peter Northcote, Zoltan John Budai, Garry Steel &amp; Mark Oats.